The mob is out for blood—literally. At the height of prohibition, the real threat on the streets of 1929 Chicago isn't Al Capone and his empire built on bootleg whiskey; it's the vampire mafia. And the liquid they trade is of an altogether deadlier variety. In this hidden world, the vampire mafia is bootlegging an addictive and deadly synthetic blood called Thrill. When the vampire Maurice discovers their blood-running operation, he must act to stop the flow of bootlegged blood, or risk the power balance of the vampire world tipping entirely into the hands of those who have been corrupted. But the mafia doesn't take kindly to interlopers, even those with fangs. 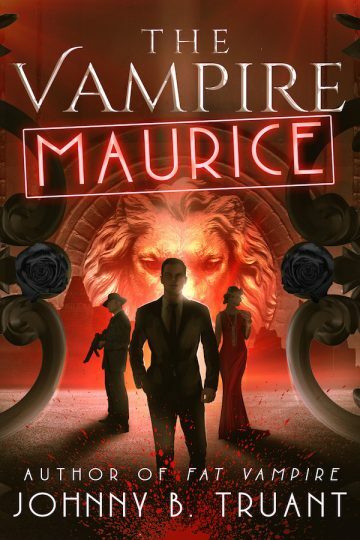 The Vampire Maurice is a brand-new, full-length novel set in the world of Johnny B. Truant's bestselling Fat Vampire series. Scroll up and download your copy today!